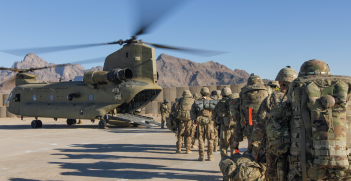 President Trump’s new strategy to escalate US military engagement with Afghanistan and recalibrate its South Asia policy more broadly has ramifications for Australian policymakers. 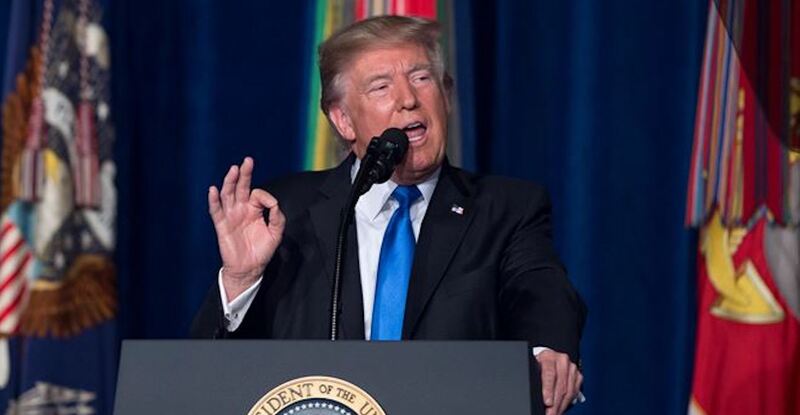 Key elements of Donald Trump’s new policy include increasing troop numbers to defeat resurgent terrorist groups in Afghanistan, assisting Pakistan overcome the influence of terrorist organisations and engaging further with India. All of these elements were promulgated, to varying degrees, by the preceding Bush and Obama administrations. The significance of Trump’s policy is the context in which it was made. In particular, who shaped the policy and the timing of its announcement. This speech was laden the vocabulary of power. Its terms of reference framed in zero-sum mentality. What can explain this? Trump has surrounded himself with a foreign policy coterie of experienced generals: McMaster (National Security Adviser), Mattis (Secretary of Defense) and Kelly (Chief of Staff). Given Trump is a foreign policy novice, as is Secretary of State Rex Tillerson, it is very likely that the military men were instrumental in developing this policy. Trump has chosen, somewhat reluctantly according to his speech, to follow their advice. This may prove to be significant. If they are leading the president on foreign policy in South Asia they probably lead him on other issues such as North Korea, Iran and China. In the Trump administration, the generals clearly have the ear of the president. Trump appears to view foreign policy in zero sum terms. In Tuesday’s speech he claimed “our troops will fight to win”. Interestingly, he did concede the Taliban may need to be brought to any future negotiating table. He branded America’s enemies “losers” whom he will “defeat and … defeat them handily”. However, Trump failed to define what a win will look like. 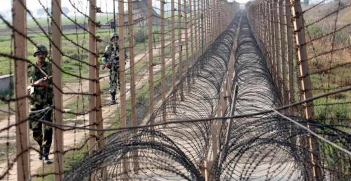 Trump wants to kill the bad guys in a region beset with ancient tribal feuds that ignore international boundaries as much as many people in the region reject the notion of a US-led world order. Trump acknowledged, perhaps surprisingly given his record, that he had to bend to the demands of office rather than go with his gut. However, he ensured that he laid the blame for his predicament on an Obama policy: the decision taken in 2011 for the US to effectively leave Afghanistan. To a lesser extent, he also criticised the neo-conservative agenda of the George W. Bush administration. Trump implied that better decisions could have been made and that he “was given a bad and very complex hand”. There is a hint of expediency about the timing of this announcement. The Trump administration has been embroiled in a series of controversial episodes, not least of which has been the procession of senior staff in and then out of the West Wing. On 21 June, Sean Spicer was fired as press secretary only to be replaced by Trump acolyte Anthony Scaramucci. After only 10 days in the post of White House communications director he too was forced out. More recent was the ouster of Trump’s controversial strategist Steve Bannon. It is telling that some of the most significant changes occurred after General John Kelly was appointed White House chief of staff. In addition, Trump himself has been widely criticised in the wake of his remarks following the violent upheaval in Charlottesville, which included the death of a protestor. Trump was widely excoriated for failing to admonish white supremacist groups including the Klu Klux Klan and neo-Nazi groups. With this week’s foreign policy speech Trump changed the media cycle by shifting the focus away from the chaos of his inner circle and domestic troubles. If the Trump administration did choose to unveil a new foreign policy initiative whilst in the midst of domestic troubles it would not be the first time a leader has done so. Additionally, Trump may have crafted a domestic get out of jail card. He makes it abundantly clear that American involvement will not come with a so-called blank cheque. What does this mean? Will he decide to reverse course based on cost in the future? This comment suggests that Trump seeks to placate a portion of his domestic base. A base that bought his 2016 campaign rhetoric including the claim he would not get involved in reckless military expeditions. He won’t want to alienate them. This is further supported by Trump’s reiteration that NATO and US allies pay up and fund part of the commitment. Trump shows his base that he is indeed the commander in chief. It is also politically convenient that Trump has given no indication of the numbers of troops needed to fulfil his aim. Trump is likely to find, as several US administrations have, that winning in Afghanistan is virtually impossible. History has proven that this is a very tough geography for an outside power to conquer. The British and the Soviets failed to tame the region before the US and its allies arrived in 2001. Trump’s speech was vague by design. It is light on detail and allows Trump a considerable degree of latitude should he wish to change tack or blame other groups when it goes wrong. 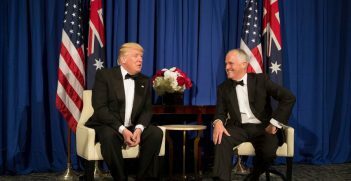 Prime Minister Malcolm Turnbull has indicated Australia will work closely with the US on this issue. Australian policymakers must carefully consider the national security implications of any involvement. Asia’s regional politics are becoming ever more complicated and, like it or not, they are going to be increasingly felt in Canberra. All in all, Trump’s policy suggests more of the same in South Asia. More trouble, more complexity and more questions over Trump’s foreign policy and who is driving it. Daniel Steedman is a member of the executive committee of the Contemporary European Studies Association of Australia and a council member of AIIA VIC.